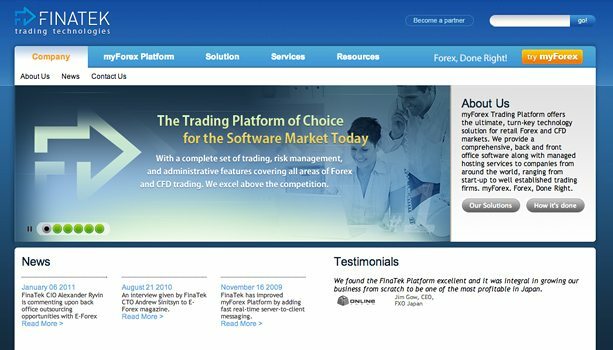 Finatek is the developer and operator of myForex Trading Platform, which enables banks and brokers to trade with many different providers and to manage all transactions on a consolidated screen. The entire process, from operation of the initial inquiry through trade and settlement, took place without human intervention. Finatek is a financial services company that allowed financial institutions to organize trading over the Internet. myForex Trading Platform offers the ultimate, turn-key technology solution for retail Forex and CFD markets, providing a comprehensive, back and front office software along with managed hosting services to companies from around the world, ranging from start-up to well established trading firms.